Planning a baby shower? Need packaging for your pink branded company? 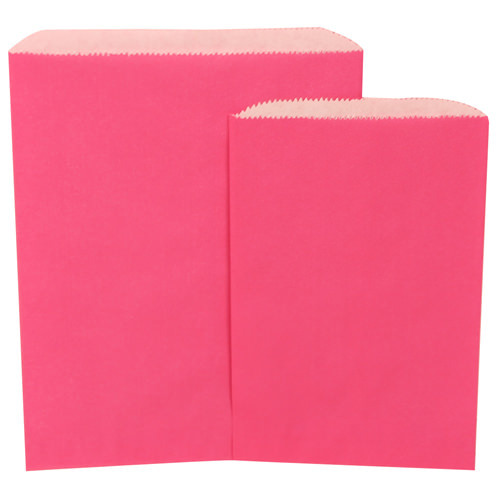 No matter your needs, our Pink Merchandise Bags can do it all. These stylish bags are perfect for packaging up products, giving gifts, or using as party favors. With two vibrant shades of pink to choose from, and two versatile sizes, you'll be sure to find the right match for you. So don't let your business go unnoticed or your party be a flop. The right packaging can make a huge difference, and this will surely give you that feminine message you want to express. You can even use these bags for arts and crafts! Use your creativity and use pink! Love our merchandise bags but want another color? Look under 'Other JAM'n Products You Might Like' for a wide variety of colors and sizes!